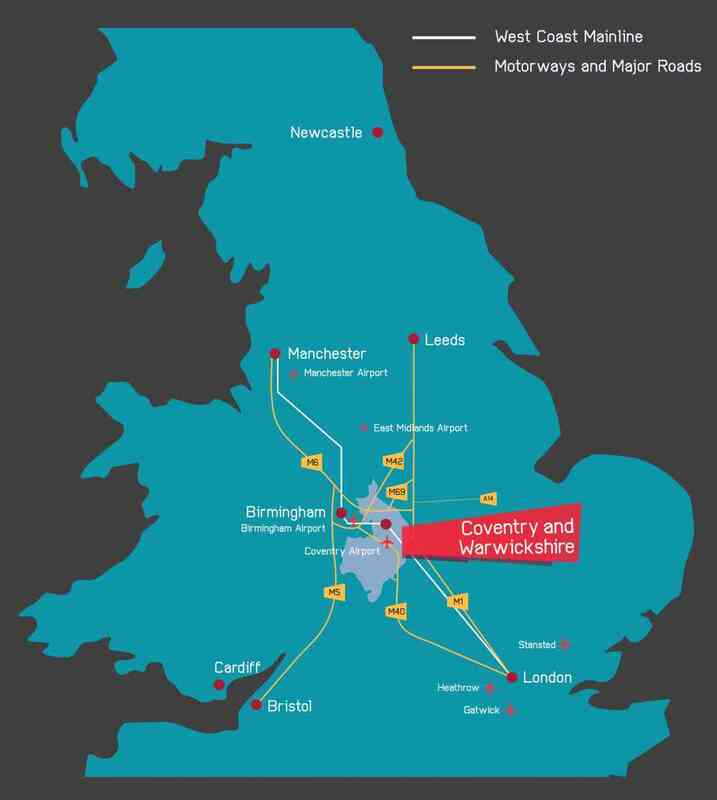 Located in the heart of England, Coventry and Warwickshire is superbly connected by road, rail and air. In fact, it’s one of the most accessible places in the UK. These excellent transport links, coupled with the highly skilled workforce produced by our world class education and innovation facilities, have consistently led global brands to invest here. Indeed, increasing demand for employment land, particularly across high-value advanced manufacturing, logistics and gaming sectors, is proof that Coventry and Warwickshire is a great place to do business. And it’s a great place to live too. Offering the perfect balance between urban and rural living, the area has some of the UK’s most popular tourist attractions on its doorstep, from Shakespeare’s Stratford to our two famous castles: Warwick Castle and Kenilworth Castle. Together, this perfect storm of infrastructure, innovation, connectivity and livability, in addition to CWLEP’s continued drive to strengthen economic advantage and support local business, means Coventry and Warwickshire has developed a reputation for making things happen.